This morning I uttered a phrase that I don’t think has ever been uttered in the history of utterances: ‘Oh no’ I said, ‘I’ve put all the empty loo-rolls in the recycling box. I’ll have to go fish around and get them back out so I can make my loo-roll choir’. It’s fair to say that my other half had no response. The story goes like this: I was looking online for ideas of handmade Christmas crafts and I came across the photograph above. 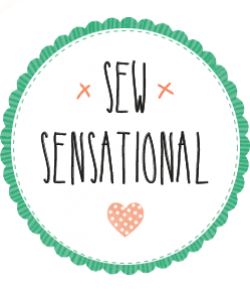 It’s from a fellow craft-blogger’s website which can be found here. I’m also in the process of writing a kids’ Christmas article for ReallyKidFriendly, so thought it would fit in nicely. This craft is also perfect (almost too perfect in fact) for those innocent smoothie woolly hats that have been circulating the UK for the past few years. Don’t know what I mean? Check the innocent website here. 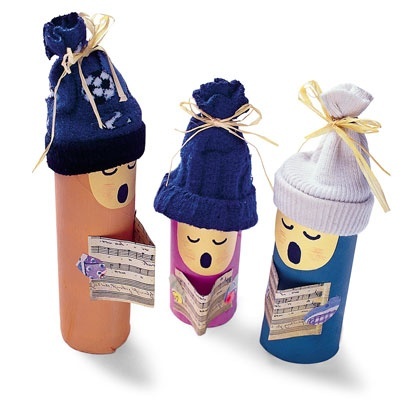 Around Christmas time, each of their smoothie bottles comes with its own, miniature woolly hat in a grand attempt to raise money for Age UK. And they just happen to be toilet-roll size. 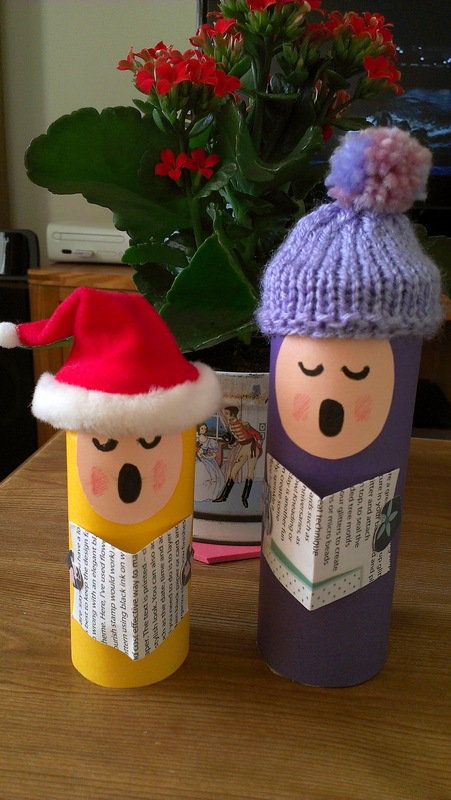 I used half a kitchen-roll tube and a toilet-roll tube for my choir of two singers that you can see in the picture. I wrapped each tube in coloured card, securing it with double-sided tape, and put a circle for the face near the top. I drew on the face in permanent marker and used a bit of red, Crayola pencil to highlight the rosey cheeks. I cut out mitten shapes from some patterned card and a song sheet for each choir member from an old magazine. Crease the magazine down the middle and then carefully attach it, with the mittens, to the tube. Pop on a woolly hat and there you have it! Bet you didn’t think a toilet roll choir was going to be on your wish list this year, did you? And a quick update – check out my toilet roll nativity scene – what more could you need this Christmas? This is adorable. You are too funny! Can’t wait to show my 5 year old daughter this in the morning, espec as school snowed off. She’ll love it, is always trying to stop me putting loo roll tubes in the ‘worm feed’ bucket. You have some great ideas, very entertaining blog too. Thank you! They’re very simple to make so I’m sure your daughter will have no trouble. I’d love to see the finished result!